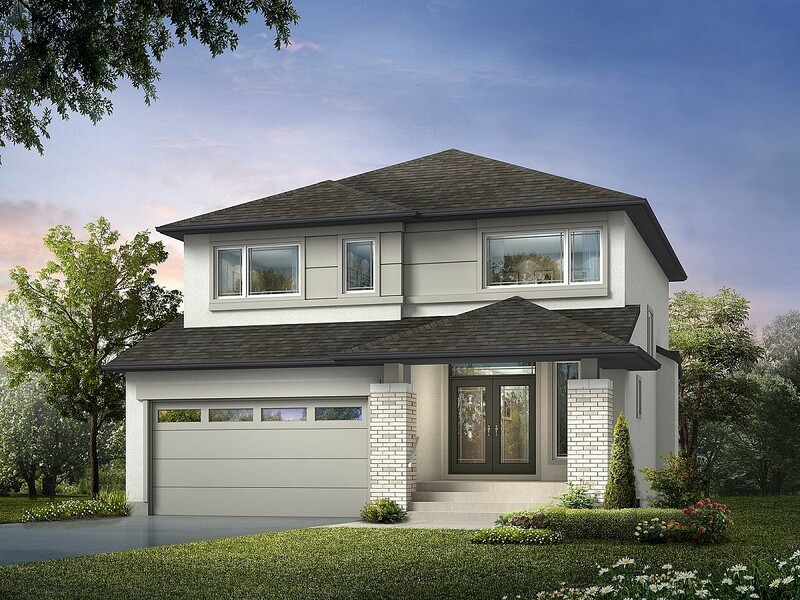 The Solaris is a large 2 Storey luxury design with 4 bedrooms and 2.5 baths. The large foyer with walk in closet accompanied with 9′ ceilings throughout the main floor makes this house very welcoming. The executive kitchen features custom oak cabinetry, a walk in pantry, a large custom island with bar, quartz countertops and ceramic tile backsplashes. The second floor master bedroom has a deluxe ensuite with a custom glass and tiled shower tub combo, double vanity sinks and a large walk in closet. The 2nd floor laundry room with sink and added shelving is very functional adjacent to the bedrooms. The house shines with pot lights and laminate floors and is suited for entertaining with the main floor open concept dining area and huge great room featuring the fireplace and entertainment unit. The exterior elevation features a brick wood package, a grande entrance with double glass entry doors, an expanded double garage and an abundance of large windows. Log in or sign up to instantly see The Solaris. Visit The Solaris Show Home!